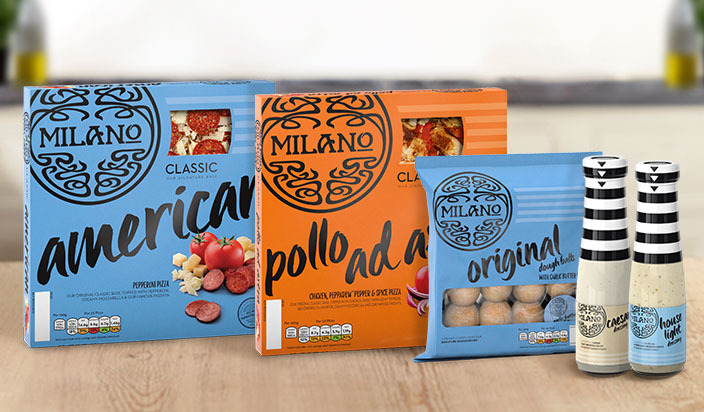 Recreate the magic of a Milano restaurant experience at home, with our new and extended supermarket range! We’ve got two new pizzas to tempt the meat-eaters: the American, topped with pepperoni and creamy mozzarella, and the Pollo Ad Astra, succulent chicken, sweet Peppadew™ peppers, Cajun spice and creamy mozzarella. These two will join our current fan favourites Margherita and Sloppy Giuseppe as well as Milano’s classic Dough Balls. If you fancy dressing up your salad or need a tasty dip for your pizza, you can choose from three new dressings: House, House Light and Caesar, each designed to give your meal a flavoursome finish. 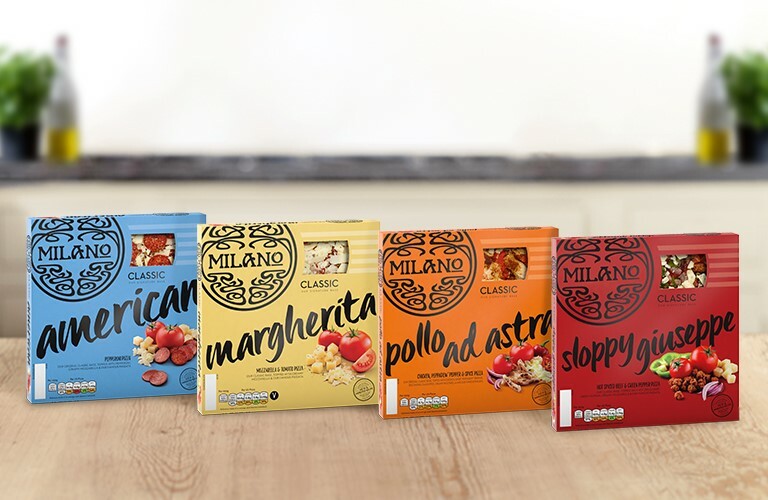 Milano’s new retail product range is now available to purchase in selected Tesco stores nationwide.